In what started over 4 years ago as an idea has now seen itself through the whole project. 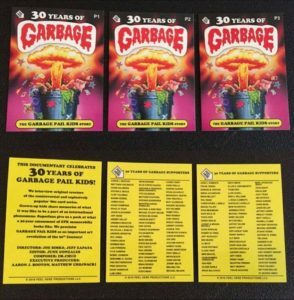 From the first Kickstarter, to Indiegogo, to the completion and debut of the film, to finally distribution, the folks behind 30 Years of Garbage have truly met the high standards of GPK collectors. 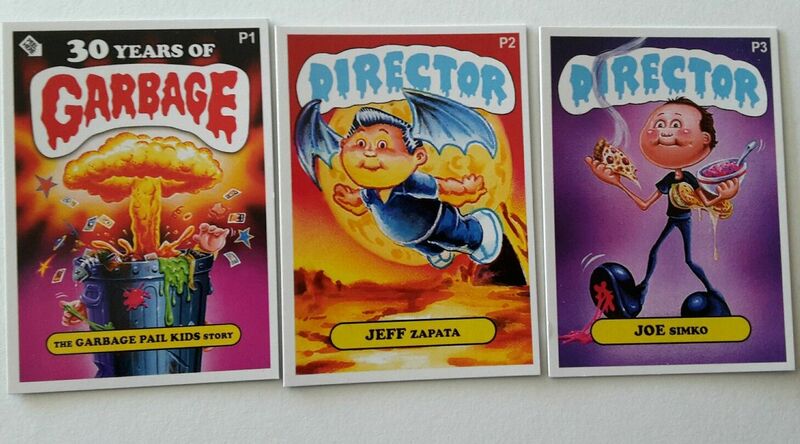 Directors Joe Simko, Jeff Zapata, and June Gonzales set out to create a love letter to GPK collectors and have succeeded is just about every way. Here’s one last update on how the film is doing during distribution. After being picked up by independent movie distributor Indican, the film debuted the weekend of 8/11/17, and continued in theaters until 11/16/17. 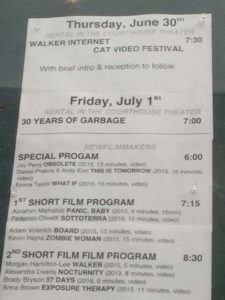 The movie was offered in a very limited run, never appearing in more than two theaters in one week. According to Box Office Mojo the movie grossed a total of $26,804 during its release. During its opening weekend, 30 Years finished as the #76 movie based on gross earnings. How does the movie rank all time? Box Office Mojo has it as the 12,575 highest grossing movie, and the 1,027 highest grossing documentary of all time. The Indican version of the movie has been available in a number of online streaming services for a few months now. Indican has also promised a DVD release of the movie a few times now, but with mixed results. While DVD sellers like Amazon, Target, and Indican itself have yet to offer the DVD for sale, it has popped up in a few places. 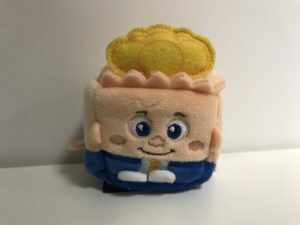 eBay has had a number of copies for sale from a handful of sellers. 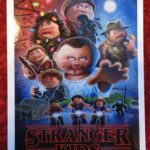 Familyvideo.com also offered a limited number of copies via their website. In a small bit of good news for collectors, Directors Joe Simko and Jeff Zapata will have a small number of DVDs for sale at the upcoming Gross Card Con in Las Vegas. Hopefully, Indican will have a wider DVD release so everyone can get their hands on a copy. 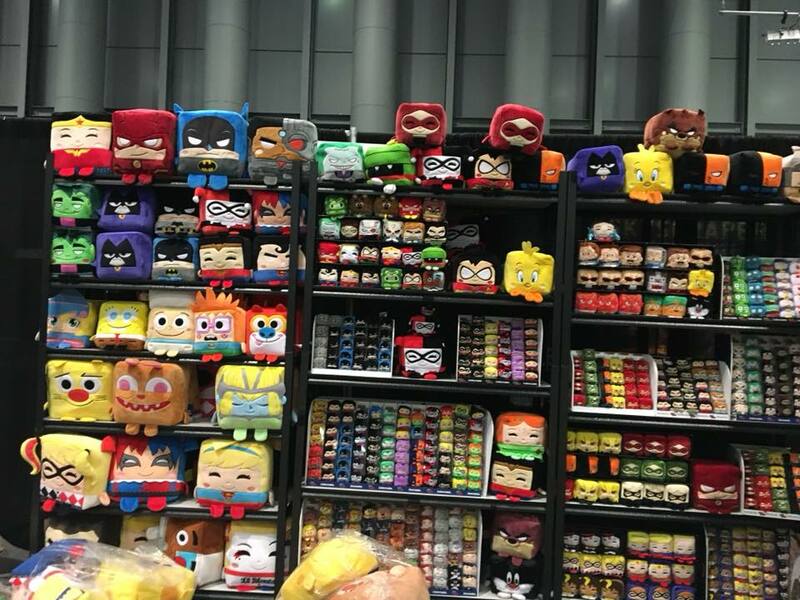 Joe, Jeff, and June should be proud they’ve created something collectors will fondly watch for years to come. The movie has been ranked as high as 35th in the documentary category on the iTunes Movie store. Indican says the movie should be available on all cable systems across the country. 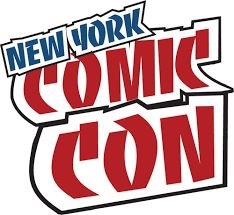 Right now Spectrum/TWC and FIOS TV seem to be the only major cable provider offering the movie. Be sure to check your local cable company for listings. The movie is not yet available yet on all-in-one services like Hulu and Netflix. Indican says the physical DVD release of the movie is set for next week. Right now Indican’s online store, Target, and Amazon have links up when the listings go live. 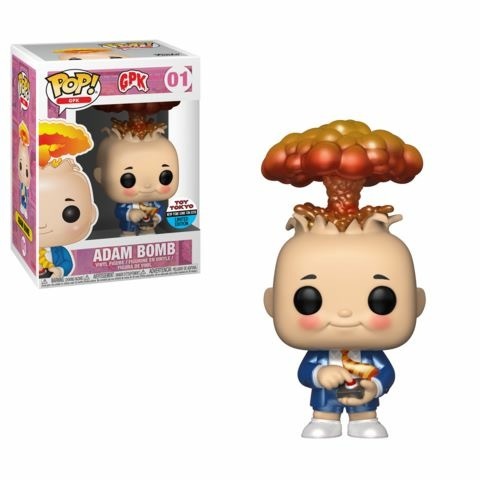 Expect the movie to be available at many more retailers when its released. 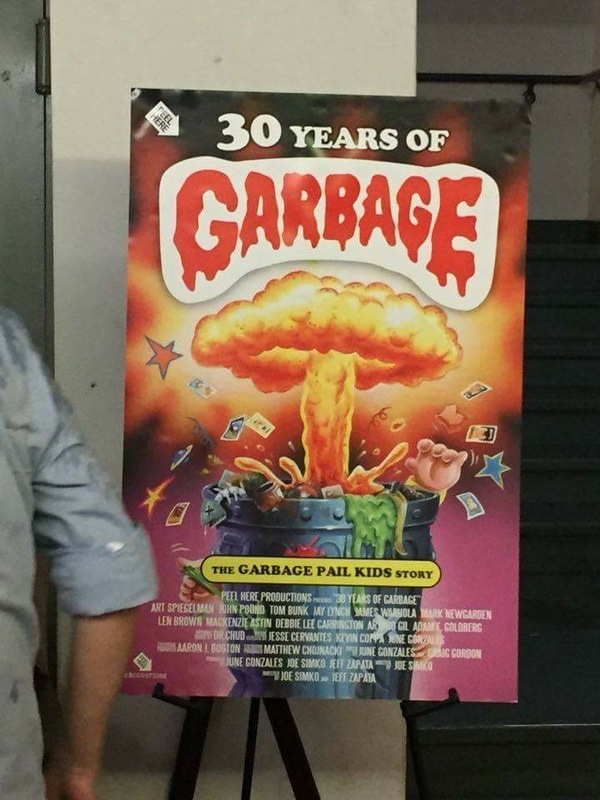 Meanwhile, 30 Years of Garbage continues its run on the big screen. The movie has been out now in theaters for six weeks. Tracking website boxofficemojo.com shows the movie has continued to be tracked in only 2 theaters in each week of release. After the initial week the movie has continued to perform consistently averaging about $2,000 per week in ticket sales. So far to date the movie has grossed $16,333. 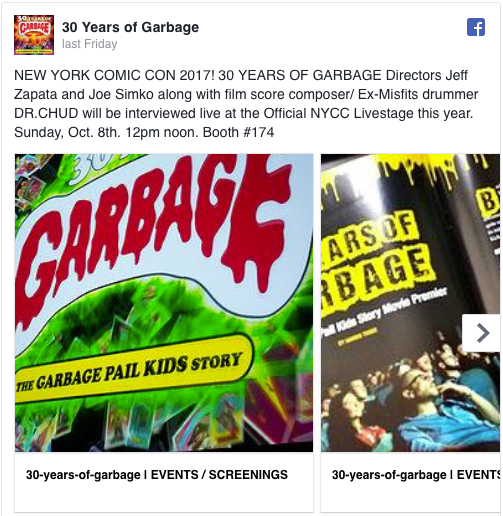 While distributor Indican Pictures said the Garbage Pail Kids documentary, 30 Years of Garbage, was set to open last Friday (8/18), it appears the movie got a jump start on things a weekend earlier. According to tracking website boxofficemojo.com, 30 Years debuted as the 74th ranked movie the weekend of 8/11-8/13. The movie fell to 92nd place in its second weekend, 8/18-8/20. So far the movie has earned $8001 at the box office. Now for a little perspective, those numbers are based off of showings on only 2 theaters. For comparison the big budget movies show in 2500-4000 theaters on a weekly basis. Indican has indicted the movie will continue playing at select theaters through 9/20, and only in very limited showings. In its opening weekend the film grossed $5030. When sorted by average gross per theater the film finished in 25th place, ahead of movies such as Spider-man Homecoming, The Nut Job 2, and The Emoji Movie. 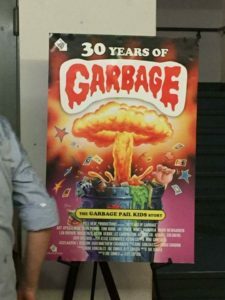 Just a couple of weeks ago the producers behind the 30 Years of Garbage documentry announced they had reached a distribution deal with Indican Pictures. Indican has shared more details of their plans for the film’s release including showings in movie theaters. 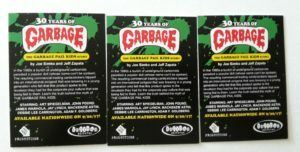 That’s right, 30 Years of Garbage will launch in limited theaters around the country beginning this Friday, Aug. 18th. While no listings are available, Indican told GPKNews the movie would show in cities like Columbus, OH, Buffalo, NY, and Los Angeles, CA. The showings will debut Aug. 18 in select theaters and expand to additional theaters through Sept. 20. The theater release is very small with most theaters doing only one night showings. On Sept. 20th the film will launch nationally via DVD and On Demand. Indican said the film will be available on most streaming services at launch with the exception of Netflix. 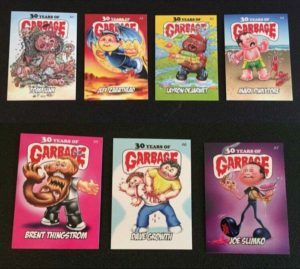 Netflix customers will have to wait until early 2018 to get their GPK fix. Indican has also released a new official trailer of the movie that you can see below. 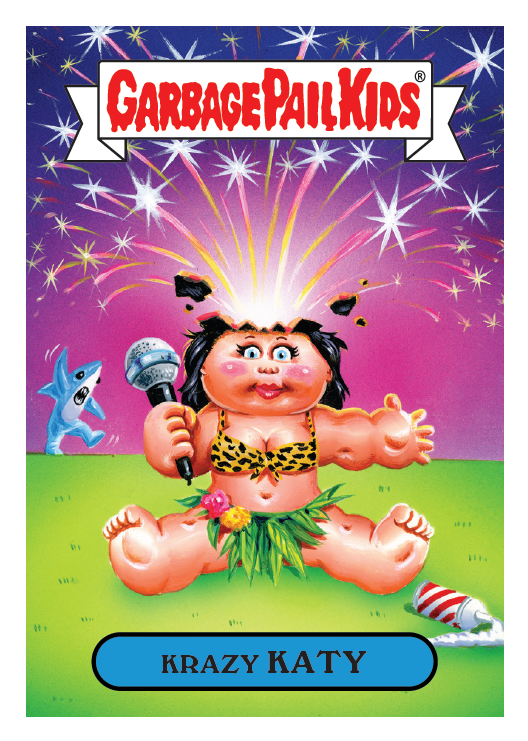 OFFICAL Garbage Pail Kids Trailer from Indican Pictures on Vimeo. Just over a year after making its premier, the Garbage Pail Kids documentary 30 Years of Garbage has secured a distribution deal with Indican Pictures. 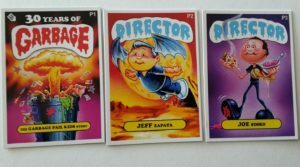 The film, directed by GPK artists Joe Simko and Jeff Zapata, chronicles GPKs from their beginning. 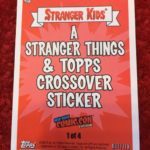 Included are interviews with all the original artists and Topps employees who started the brand. The distribution deal was officially announced on the 30 Years Twitter page earlier today. Indican Pictures is a distributor who focuses on distributing independent movies through various avenues. Previously, the only way to see the film was to have been a backer of their Indigogo campaign. Over $41k was raised back in 2014 to help get the film made. Those who backed the project received the Director’s Cut of the movie on DVD. Now that Indican is handling distribution, there will be a wider release. Indican has not made any official announcements regarding how and where the film will be released. In speaking to the producers of the film, there will not be a theatrical release of the movie. However, online streaming is planned, along with the possibility of physical DVD/Blu-Ray copies of the movie. Indican has limited information on their website now as they begin to promote the film in their New Release section. The version of the film that is being released will be slightly different than the Director’s Cut that was sent to backers. While the Director’s Cut came in at 2 hrs 12 mins, the new release will be 1 hr 54 mins. Additionally, due to licensing issues, a lot of music has been replaced. Instead the score of the entire movie will be done by Dr. Chud. Dr. Chud previously wrote songs for the Director’s Cut version. Information about the distribution deal has slowly be finding its way into the public the last few weeks. 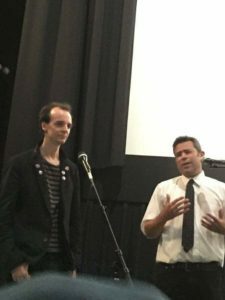 After a small mention on Indican’s website regarding the film, they quietly started promoting it at last week’s San Diego Comic Con. 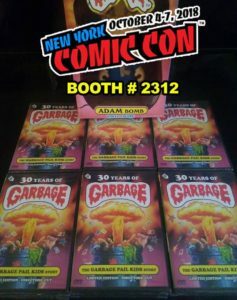 Collectors could pick up a set of 3 promo cards for the film at Indican’s booth. 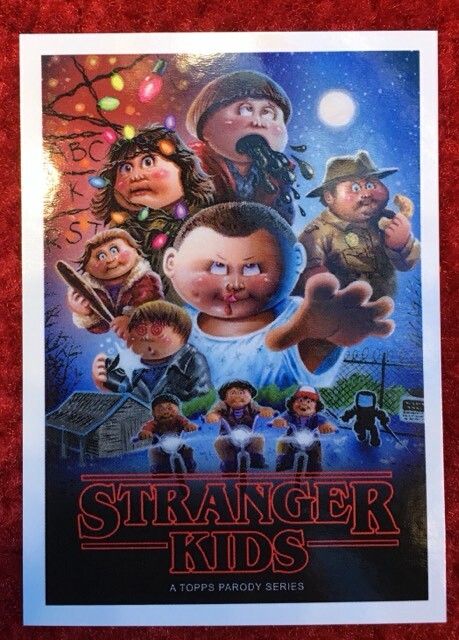 Card P1 has the same card from of the movie’s title as previous promo cards. Cards P2 and P3 feature the same artwork used on the Simko and Zapata promo cards previously sent to backers. However, the banner their cards has been changed to “Director” instead of the previously used “Garbage”. Also, the backs of the cards now feature the Indican Pictures logo in addition to a release date of the film, 9/20/2017. 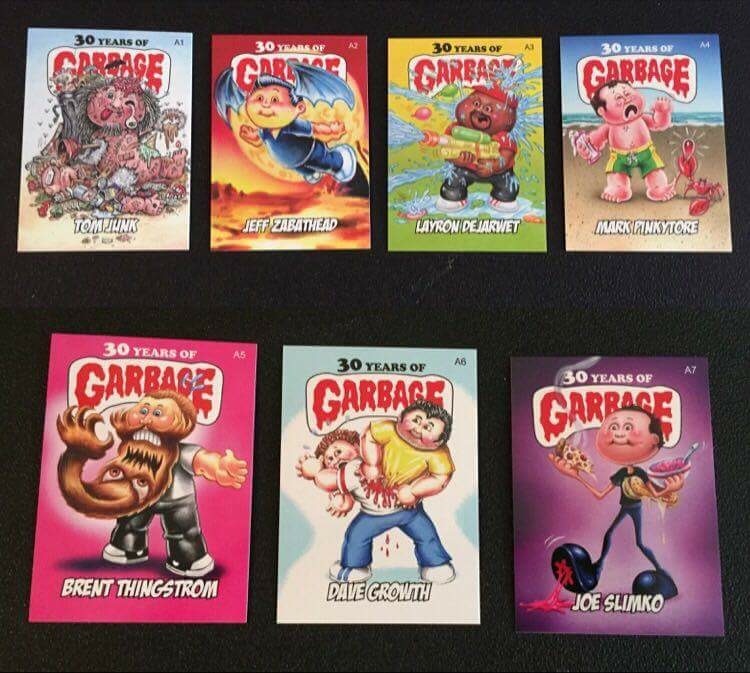 Copies of the cards have surfaced the last few days on ebay. Indican produced and distributed these cards, as they are handling promotion for the movie now. Additionally a Facebook today from the team shows that DVD and award shipments have begun for backers of the movie. 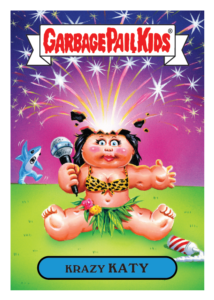 The much anticipated Garbage Pail Kids documentary, 30 Years of Garbage: The Garbage Pail Kids Story, made its world premiere Friday night in New York. 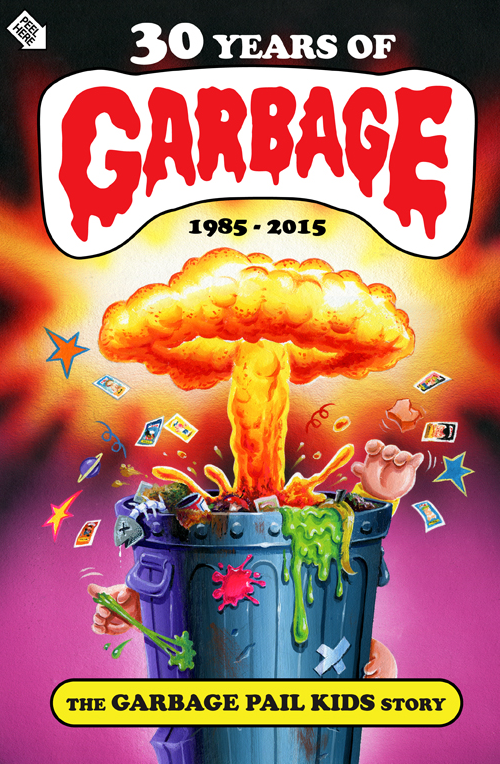 The movie, directed by GPK artists Jeff Zapata and Joe Simko chronicles the 30 year history of Garbage Pail Kids. Attending the premiere were past GPK artists Mark Newgarden and James Warhola, along with current artists Mark Pingitore, David Gross, Joe Simko, and Jeff Zapada. 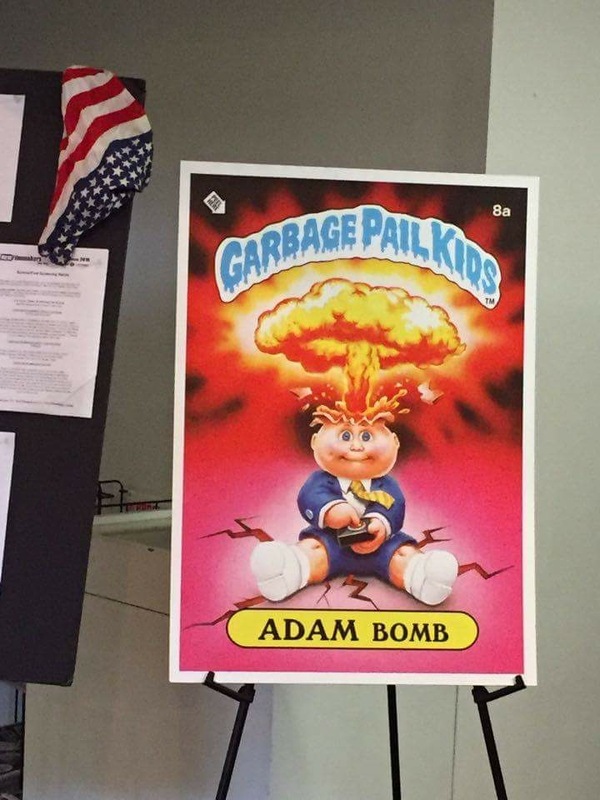 Many other GPK sketch artists and collectors packed the Anthology Film Archives to catch the first glimpse of the film. GPKNews.com Special Correspondents Erica Fox and Stephen Sodergren attended the premiere. Here is their review of the events of the evening. 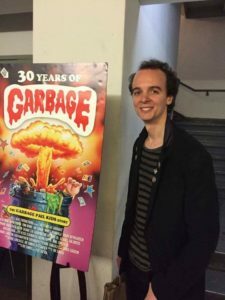 Last night saw the world premiere of the documentary “30 Years of Garbage: The Garbage Pail Kids Story” at Anthology Film Archives on the Lower East Side of New York City. 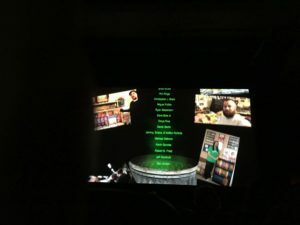 The documentary is the culmination of approximately two years of work for Directors Joe Simko and Jeff Zapata and Co-Producer and Editor June Gonzales who were all on hand for the premiere. 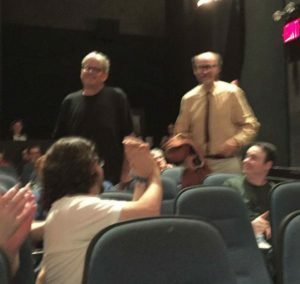 Simko and Zapata introduced the film and were visibly excited and proud of the project that they dedicated so much time to. 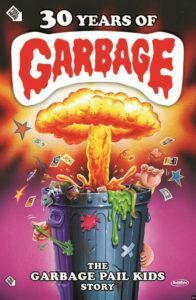 Zapata commented on his hope that viewers would get a deeper understanding of the people involved in the creation of Garbage Pail Kids. 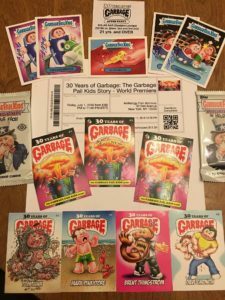 Simko voiced his hopes that this film would highlight the fandom of GPK as well as giving a deeper insight into who the artists are who made and make GPK cards so great. 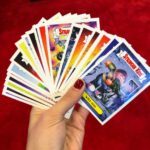 The film itself clocks in at two hours and thirteen minutes and features interviews with the key players in the inception, creation and execution of the iconic card series that captivated children across the country and later the world during the 1980s. The reception during the film was wholly positive as attendees clapped and cheered as each artist and/or creator was introduced onscreen. 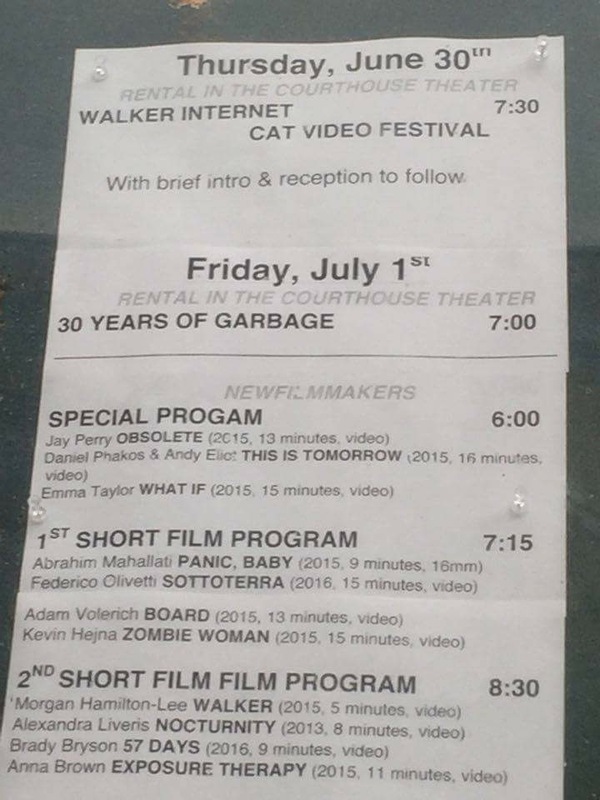 The only drawback during the film’s screening was the lack of air-conditioning in the theater. 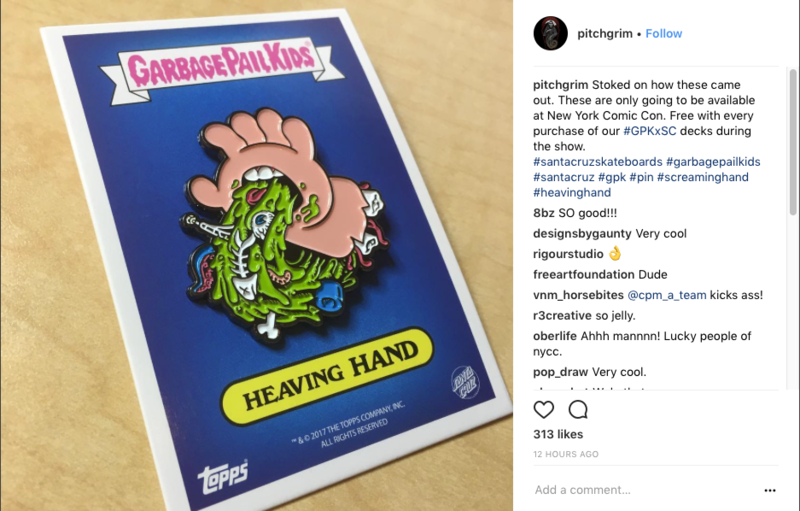 However this, along with intermittent downpours and a city-wide tornado watch weren’t enough to stop the die-hard GPK fans attending and enjoying the historical event. 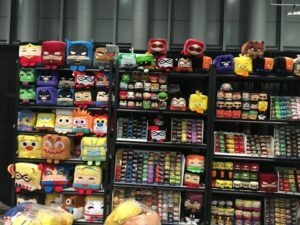 In addition to Simko and Zapata, other artists in attendance were Mark Newgarden, James Warhola, Mark Pingitore, David Gross, Lily Mercado, Melty Misfits creator Buff Monster, and Executive Producer and GPKWorld.com owner Aaron Booton. 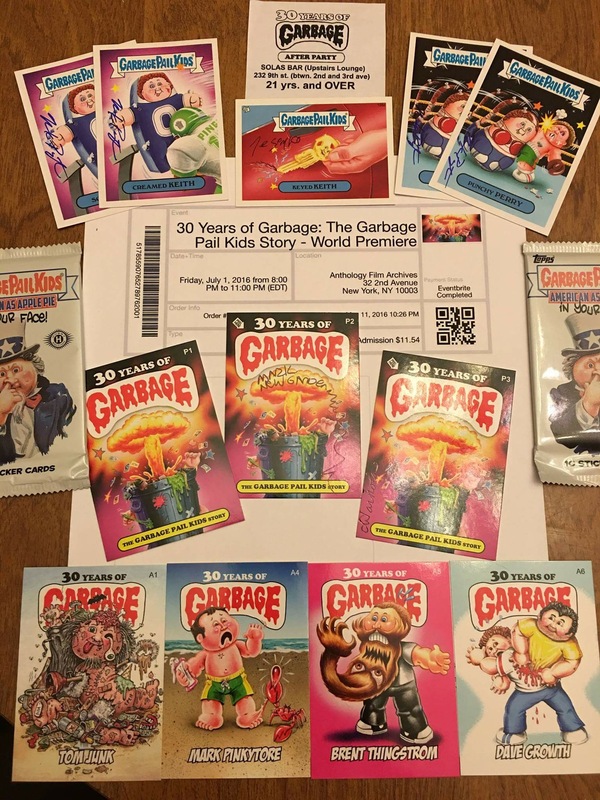 The event included a raffle of three prize bags each containing an IDW GPK Puketacular comic, a Funko Donald Dumpty figure, and one of three other prizes inserted into each bag which were a stack of vintage 70s and 80s non-sport trading cards, an unopened box of GPK 2015 series 1, and packs of unopened OS packs as old as OS 3. Wine was available prior to the film courtesy of the crew from Peel Here Productions and served as a refreshing drink in contrast to the theater’s heat. 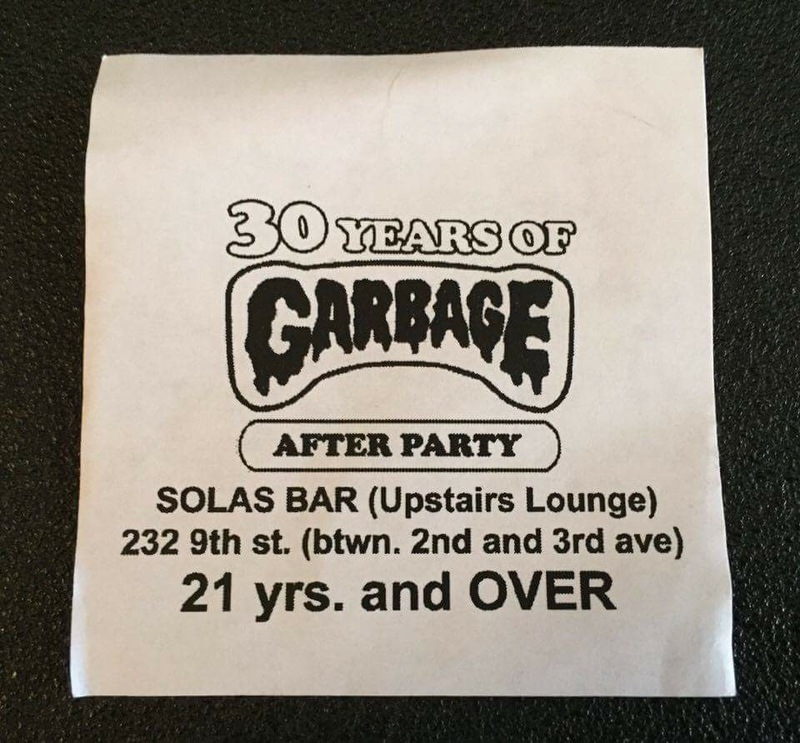 An after party was held at Solas Bar on the LES of Manhattan. Partygoers were given the chance to speak with the directors as well as visit with other like minded people. 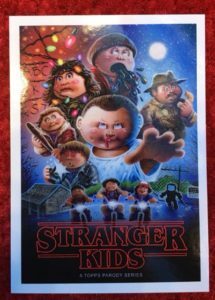 All film attendees were given their choice of 2 cards featuring GPK artists as Garbage Pail Kids as well as promo cards for the film. The film premiere was a successful event showcasing a movie 30 plus years in the making and marks a milestone in the history of the one-time 80s fad now turned a phenomenon spanning several decades and still going. GPK sketch artist Lily Mercado was at the premiere and sent along her thoughts and pictures from the event. 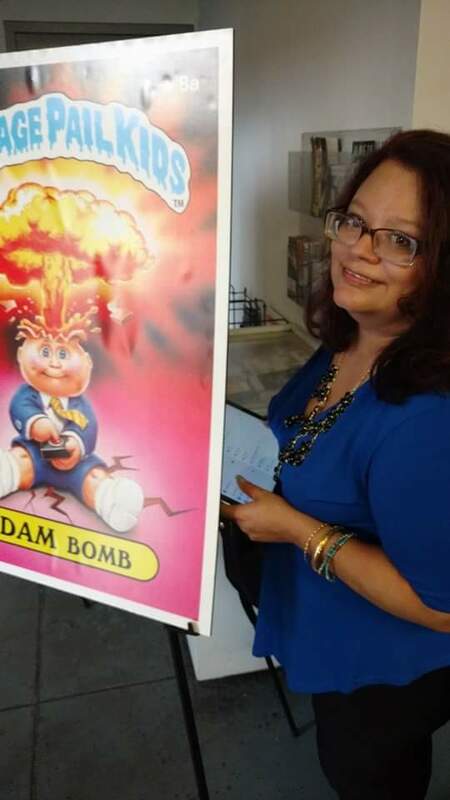 GPK collector Keith “Ke We” also attended the event and sent along some great pictures. Including one pic with my name in the credits! 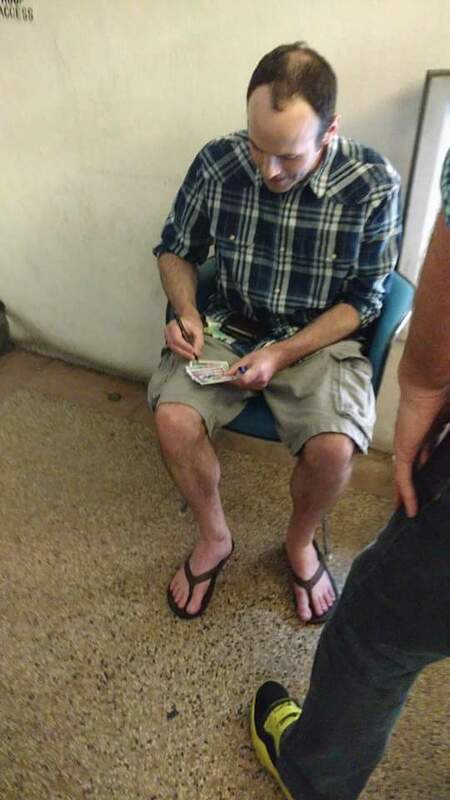 My money hard at work! Thanks to Erica, Stephen, Lily, and Keith for sending along their reviews and pictures! 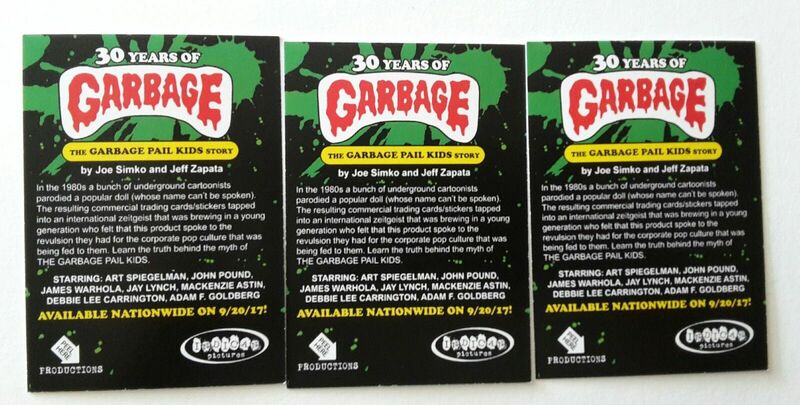 Do you have your tickets yet for this Friday’s world premiere of the 30 Years of Garbage Doc? If not you are probably out of luck as the show has been sold out for a few weeks now. 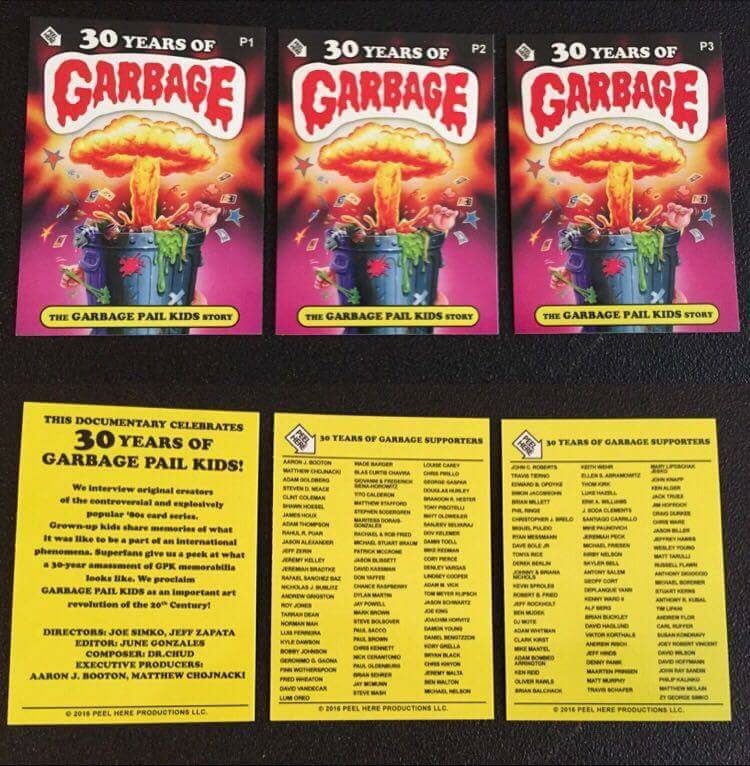 The team behind the 30 Years of Garbage doc is preparing for the premiere to be held in New York City on July 1 at the Anthology Film Archives. It looks like those in attendance will get some free goodies in addition to have a chance to win some prizes. 30 Years team member Matt Hawkins tweeted out a couple of pictures hard at work prepping for this Friday. 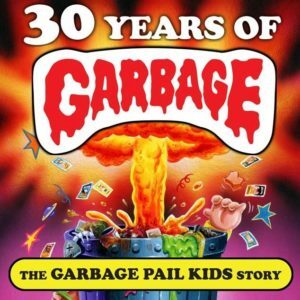 The 30 Years account also recently tweeted out a link to show off what the DVD will look like when it ships next month to backers. 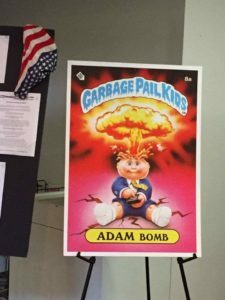 The documentary is set to cover the history of Garbage Pail Kids from the beginning focusing on the artists, collectors, and even the GPK Movie. Looks like a lot of fun for those East Coast residents that can go!